College basketball, both men’s and women’s, is my favorite sport. My Seasonal Affective Disorder becomes a mere annoyance closer to March Madness and NCAA Tournament time. The utterance of “bracketology” affects me the way “Christmas” and “Spring Break affects normal people. From December through March my moods follow the play of my favorite teams, teams I appreciate, and conferences with which I align myself. Consider the map at http://collegesportsinfo.com/ncaa-map/. Matt Peloquin did a fantastic job compiling the information on NCAA Division I schools and dumping the data into Google Maps. We can immediately see from the legend geography at work. Just look at the conference names; Atlantic 10, Atlantic Coast, America East, Big East, Big South, Big West, Great West, Mid-America, Mid-Atlantic, Missouri Valley, Ohio Valley, and the Southeast. I know, I didn’t list them all, but you get the idea. Some of the conference members don’t align well with their conference. The most glaring geographic failure for me (with the exception of Hawai’i, which can’t be helped, really) is the inclusion of West Virginia in the Big 12. West Virginia is 900 miles from its closest rival. What I am primarily looking at is proximity to other member schools, or the lack of nearby member schools. Yes, the conference might be strung-out, like the ACC, but members schools have other member schools nearby. For example, the University of North Dakota is stuck out in the middle of nowhere in the Big Sky conference. In comparison, clustering is evident in the Big South Conference. One conference I would not want to play in is Conference USA. Conference USA schools are too spread out, from Old Dominion on the east coast to University of Texas-El Paso in the west, a distance of almost 2,000 miles. Clearly, no professional geographer was enlisted for building C-USA. Athlon Sports published a pre-season “Dream Team” of current international men’s basketball players. The list includes Matthew Dellavedova (Australia, St. Mary’s, whom I had the opportunity to watch play last year), Elias Harris (Germany, Gonzaga), Myck Kabongo (Canada, U-Texas), and Arsalan Kazemi (Iran, Oregon). I would add Angel Rodriguez (Puerto Rico, Kansas State), both Kelly Olynyk and Kevin Pangos (Gonzaga) are from Canada. Prezemek Karnowski (Gonzaga) is from Poland. Again, yes, I missed many players. I don’t mean for any of this to become a comprehensive list. On the women’s side, I find the geography of women’s players more limited. I checked several teams, Tennessee, Duke, Notre Dame, Connecticut, Texas, Baylor, Stanford, and UCLA. Of those, I found three players listed from Alsace, France; Bahamas, and Canada. I suspect something could be different in the reporting of a student’s home country for female athletes. Many athletes playing today come from families who may have immigrated to the United States a generation or so ago. Chiney Ogwumike’s parents both immigrated to the United States in the 1980s from Nigeria, for example. I still find the lack of international players on many women’s teams odd, considering most men’s teams have at least one international player. Some men’s teams, like Gonzaga and St. Marys (CA) seem to be comprised of entirely of international players. Coaches and sports analysts speak about a player’s “court sense” as if some players have a “Spidey Sense” which applies to basketball. Some players play at a different level than other players on the court. Some player which tend to exhibit the “court sense” power are Matthew Dellavedova (St Mary’s), Gary Harris (Michigan State), David Stockton (Gonzaga), Trey Burke (Michigan), Aaron Craft (Ohio State), Yogi Farrell (Indiana), and Keith Appling (Michigan State). These are my picks; I’m sure there are a few notable players missing. 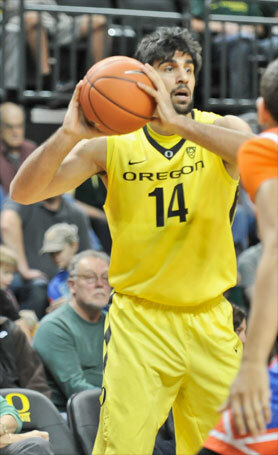 Perhaps Phil Pressey (Mizzou) but in my opinion, he turns the ball over too much. Lorenzo Brown (NC State) also is deserving of a mention. The only reason he isn’t on my list is I simply haven’t seen him play much. Women’s basketball is all about court sense. In my opinion, NCAA Women’s basketball is basketball at its purest. Women’s basketball illustrates better defensive strategies, better offensive strategies, and relies more upon better overall court knowledge from all players. I’m pretty sure 99% of college basketball fans disagree with me. However, I watch and attend as many, if not more, women’s basketball games than men’s games. Women’s games have less attendance than men’s games, by far, which allows me to sit closer and pay closer attention to offense, defense, and listen to coaches. I recommend all college basketball fans should attend women’s games simply to watch pure basketball. Go to your local college women’s basketball game. Unless you are attending a Top 25 women’s basketball game, you will probably be admitted for free or at some drastically reduced cost. My favorite women’s player is Skylar Diggins (Notre Dame). She plays as hard as any player in basketball. Her attitude is what makes women’s basketball great. Watch enough women’s basketball and you’ll get the sense each player give 100% every game. I’ve been to numerous men’s games and watched numerous men’s games where I got the sense some or all of the team just didn’t have the heart to play on that day. I cannot remember watching a women’s game where a team simply didn’t show up to play. I’m sure the attitude happens, I simply don’t witness a “down” day as often with women’s games as I do with men’s games. 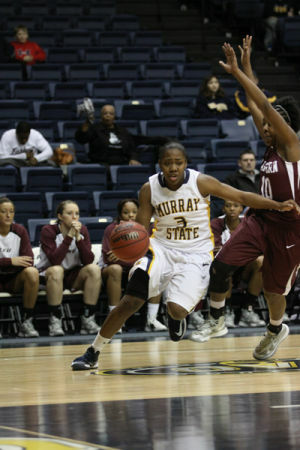 Locally, the Murray State Racers have numerous players fun to watch. Erica Sisk (Murray State) and Mariah Robinson (Murray State) were fun to watch this season. The entire team played their hearts out all season long, and despite coming up short in the OVC tournament, as a two-decades long Racer fan, I never got the sense at any point in the regular season the women did not want to play. These players exhibit very good court sense. They know where the basket is, where they are on the court, where their teammates are on the court (or should be), and they know where the defense is. In other words, they understand the Geography of Basketball. Listening to basketball analysts, geography is evident in their commentary. “Our shot selection stunk, but so did ours the way we were attacking the zone and that’s my fault. They went to a 3-2 [zone] and we had not talked about it much.” John Calipari, after UK’s loss to Baylor. 2012. “There’s a new grading system that we’ve put in that really takes into account not just what happened on that possession for the five guys that were there, but how the five guys contributed to it positively or negatively.”Tom Crean, after Indiana’s exhibit win against University of Indianapolis. 2012. “I think she did a great job organizing everybody and being that person to keep everyone calm, but at the same time, bringing the energy. She’s going to make smart plays on the court. She’s going to organize people on offense and get people to where they need to be, and still play great defense.” Geno Auriemma, on Caroline Doty’s play against Duke. Tom Izzo and Michigan State has a number of videos which illustrate how to address different basketball challenges. Watch the video and listen to Coach Izzo. Nearly everything he says deals with placement, where events take place on the court, post, deep post, high post, wing. When we watch basketball ESPN and CBS use telestraters to demonstrate basketball geography. Commentators illustrate how players screen other players to provide defense or offense. 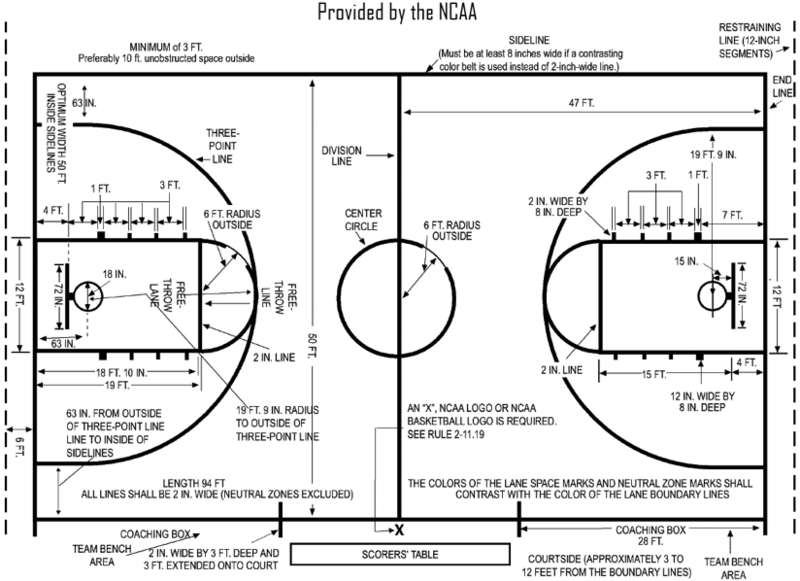 Graphics illustrate where a player is making shots and not making shots. Below, is a shot chart, a map, really, indicating Nik Stauskas (Duke) success at shooting 3-pt shots through 13 games during the 2012-2013 regular season. Throughout any given televised games, graphics are displayed which help breakdown success or weaknesses within a particular game. Today, the Internet allows fans to keep track of shot location statistics, turning fans into armchair scouts. Obviously, Nik likes the left-wing side for 3-pt shots, and has remarkable success in the deep corner, one of the most difficult shots in college basketball. If I were a college basketball scout for a Duke opponent, I would make sure whoever guards Nik gets a hand in his face, especially on the left wing. Each player has a peculiar court geography which makes each player unique. Some players prefer only left-side layups, jumpers from 15ft, or will only drive from the right-side. A geographical study of a player’s traits can help provide defense, or once a pattern is identified, help a player develop a more robust set of qualities, helping them become a more well-rounded player. Yes, basketball is all about geography.